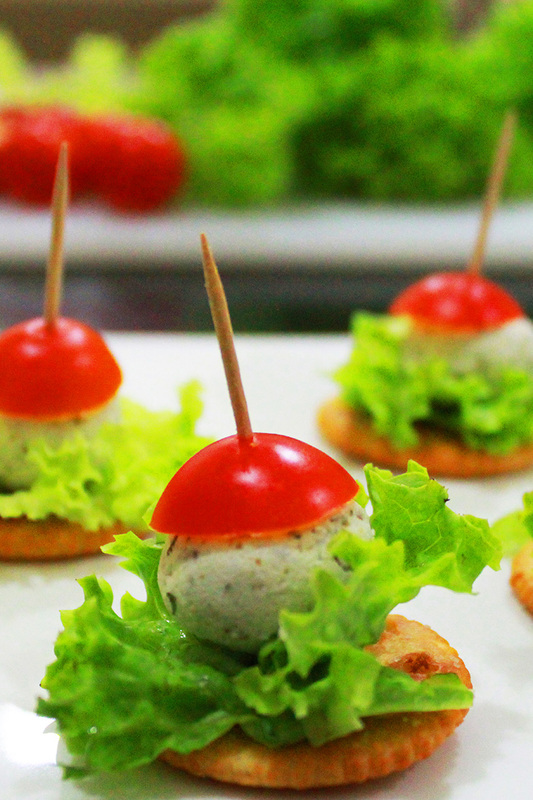 Appetizers are meant to stimulate your appetite! The more attractive they look, the more inviting they are. 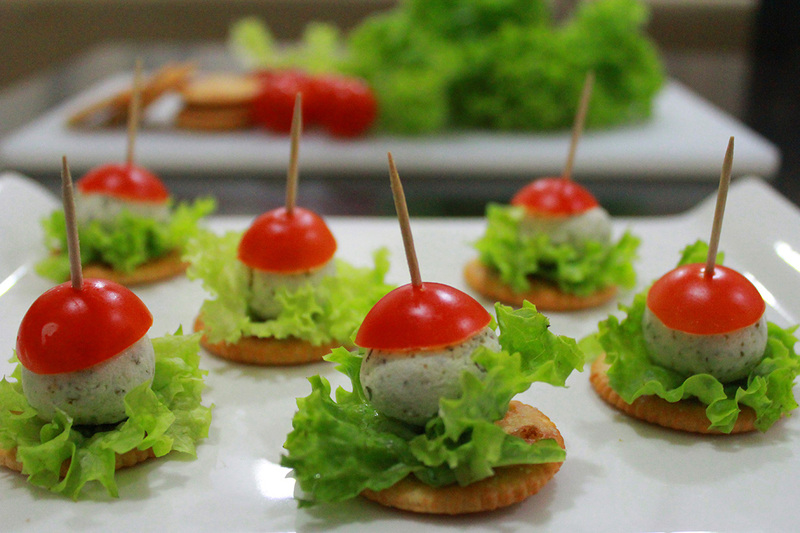 Embellish your simple cheese appetizer and let beauty be on your plate. Mix feta cheese with dried thyme or italian herbs then shape them into balls. On a cracker (i used ritz) place a small frisé lettuce then the ball of cheese. Halve a cherry tomato and place it on top. Isn’t that too cute to eat? Impress your guests with simple and quick appetizers. I will post more ideas of beautiful and attractive starters. Stay tuned! This entry was posted in appetizers & salads and tagged appetizer, blog, cherry tomato, cracker, feta cheese, how to do, jaymmy, lettuce frise, marmite et ponpon, recipe. Bookmark the permalink.